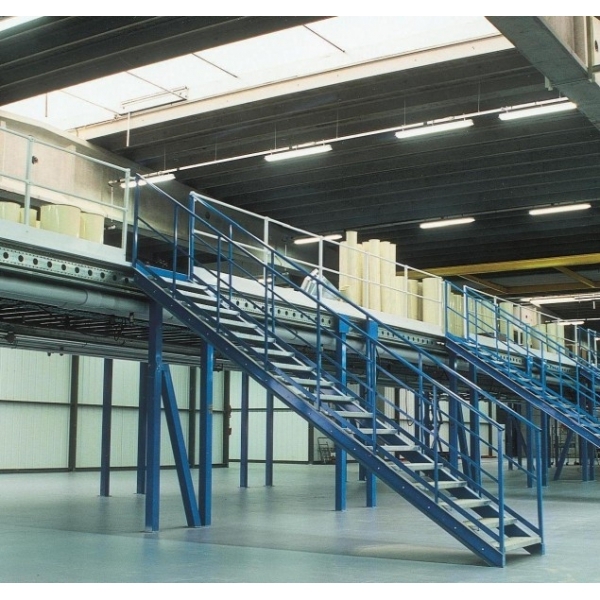 Gain m² without building with a mezzanine platform, an economical solution! 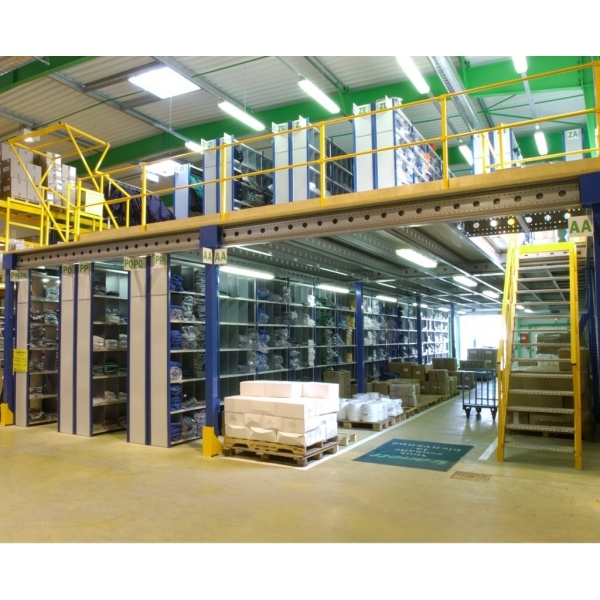 A mezzanine platform gives you floor room while doubling or tripling your usable areas by making use of all the available volume. You have floor space available and saving in all areas (heating, lighting, protection, fire insurance, handling, insurance). 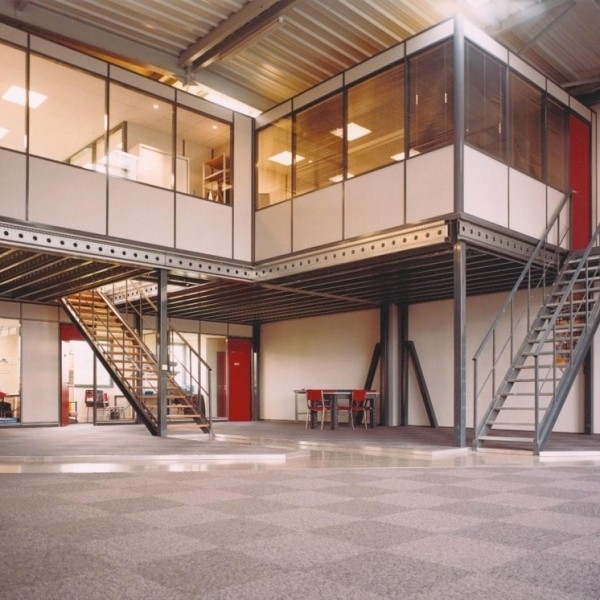 Office dividers or grids can be integrated above or below a metal platform to save space and create offices. 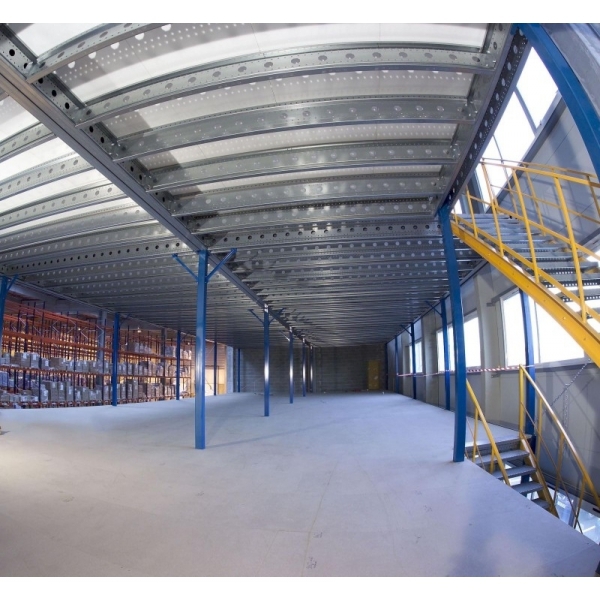 Mezzanine platforms can be supplied with 3 types covering material: a wooden floor, a slatted metal floor, a sheet metal floor. 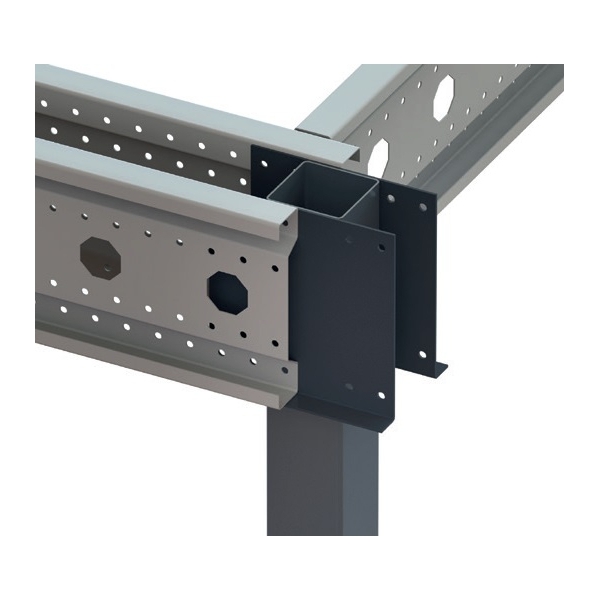 A system designed according to the Eurocode III standards and in conformity with DTU 51.3. WIll your needs change? The platforms and office dividers are modular and can be altered as many times as needed. 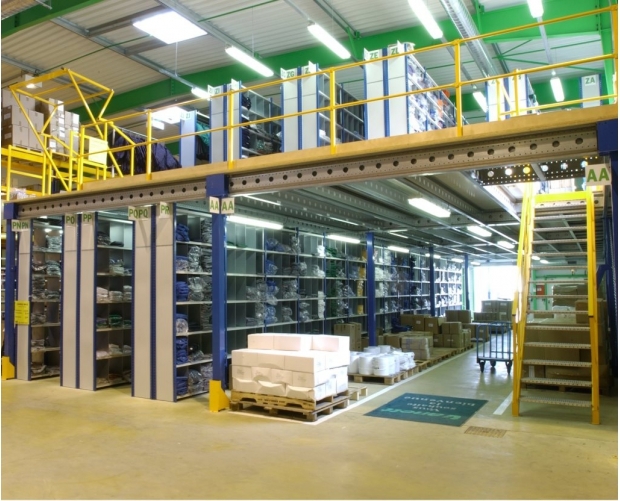 See our other mezzanine solutions PAB on our Blog.